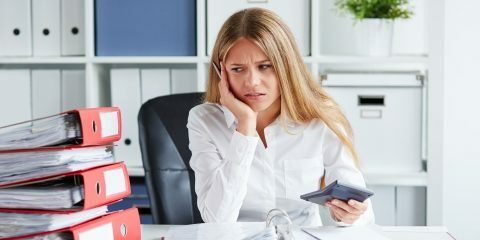 When a small business discovers they have a few accounts past due and has had zero success collecting any payment, hiring a collection agency can be the best solution. How much do debt collection agency charge? Many collection agencies will charge a fixed, flat rate per account placed with the agency. This fee can be anywhere from $20 to $10 per account. This may sound extremely cheap at value, but how can you know this money spent upfront is a good investment? Many business owners are concerned spending good money to chase after past due customers. This concern is a valid one because if a company pays a collection agency upfront then what true incentive do they have to work hard at recovering the money on the client’s behalf? The best solution is to hire a collection agency on what is called a contingency rate. What is a contingency rate? A contingency rate means the collection agency charges zero upfront to work on behalf of its clients. The collection agency will charge a certain percentage of any successful payment collected. For example, a maid service company is owed a total of $5,000 from 10 clients. The cleaning company hires a collection agency at a 25% contingency rate. The small business collection debt collection agency collects 4 accounts successful, for a total of $2,200 in payments. The agency keeps 25% of the $2,200, which comes to a total of $550. The cleaning company gets $1,650, which they are excited about as they would have never got anything without hiring the collection agency. A contingency rate is often referred to as “No Payment No Fee” collections. It is truly no risk to businesses because if the agency is unsuccessful in collecting money, the business is out of zero money. Should Cost be the Main Concern? Small business owners should focus on the cost a collection agency is charging. Keep in mind, the collection agency that offers the lowest rate is not necessarily the best solution. The main reason cost may vary with a collection agency is the success rate of the collection agency. For example, a collection agency may offer a 50% contingency rate while another offers 25%. Any business owner would naturally be drawn to the rate that is twice as cheap. To our earlier example, what if the collection agency who offered a 25% rate to the maid service was only able to collect a total of $600. The collection agency keeps $150 while the cleaning company keeps only $450. The other collection agency is known for being the top maid service collection agency. The agency recovers $2,800 but they charged a 50% contingency rate for the work provided. The collection agency keeps $1,400, while the cleaning company receives $1,400 back. How much to hire a collection agency is an important question to consider when attempting to hire top collection agencies. As shown in the above example, the difference in collection agency performance can be large even when dealing with small businesses that only have a few accounts. The debt collection agencies that are able to collect the most money for a company are typically the best solution regardless of the small differences in contingency rate. If you are still asking how much are debt collection services really going to cost our company? Get a risk free quote today within 10 minutes!